We’re delighted to hear this news from Smeg today at Appliance City! 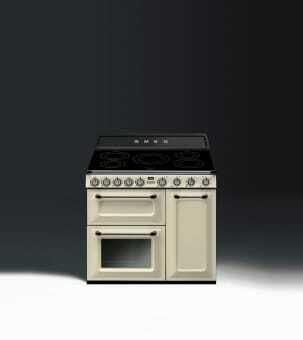 After the enormous success of Smeg’s TR4110I cooker with induction hob, Smeg have now expanded the Victoria range. This time it is the TR93, which now comes with the option of an induction hob. The TR93I is Smeg’s 90cm induction range cooker in the Victoria range, and comes with all the same technology and spec that has won the ‘Which? Best Buy’ status. Offering the perfect blend of traditional aesthetics with contemporary technology, the TR93I offers the best cooking options – the controlability of an induction hob with the temperature consistency of an electric oven. 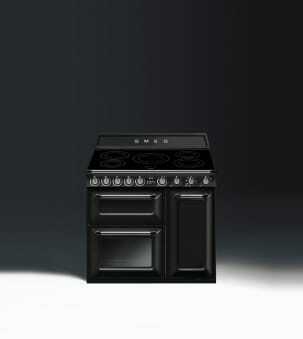 Starting with three impressive cooking cavities, the TR93I’s diversity and flexibility really is something to admire. 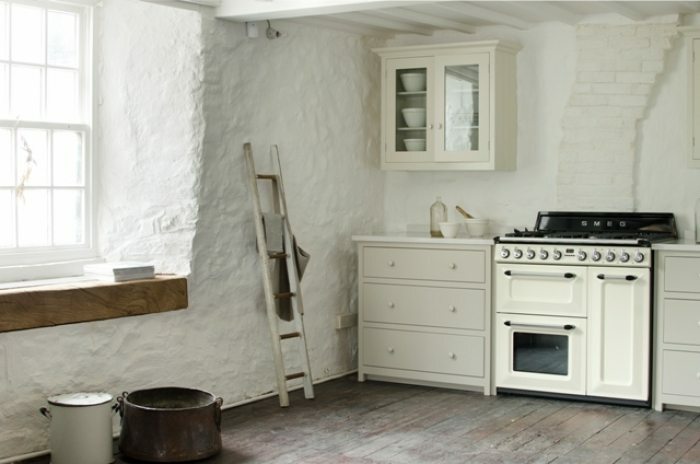 The main oven holds a total net capacity of 63 litres, with 9 different cooking functions. Perhaps the most useful of these functions is Smeg’s ’Circulaire’ function, which ensures that the oven is at a constant temperature throughout. It also contains a four level grilling function and an air cooling system. On the top, the induction hob holds a five induction zones of varying sizes. The hob also features an automatic safety cut out and residual heat inductors to ensure that the unit is not only efficient, but also as safe as it can be. The black ‘Superma glass’ strength is only matched by its elegance, matching beautifully with the black gloss finish of the oven, or complementing the cream gloss finish. Whether it be down to a reduced space, or simply a preference for a smaller appliance, this 90cm induction embodies what Smeg is all about; innovative technology with beautifully crafted design. 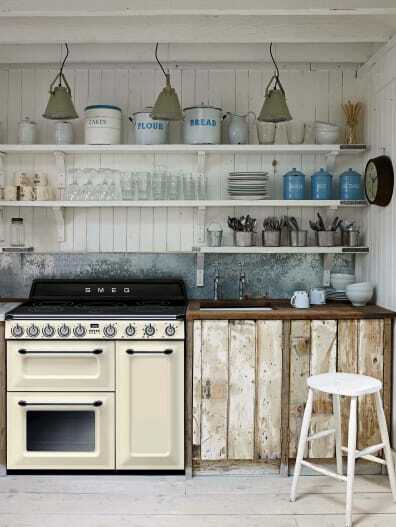 Need a wider range cooker? Watch the video below to discover more about the TR4110I, 110cm Induction Range Cooker, just another of the stunning range cookers in the Smeg Victoria collection featuring an induction hob top. To find out more or to buy a new Smeg Victoria Induction Range Cooker, just call our friendly sales team on 0115 965 1937 who will be happy to help.